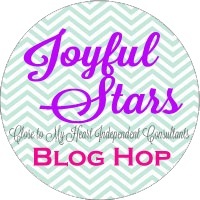 Welcome to the Joyful Stars May Blog Hop. 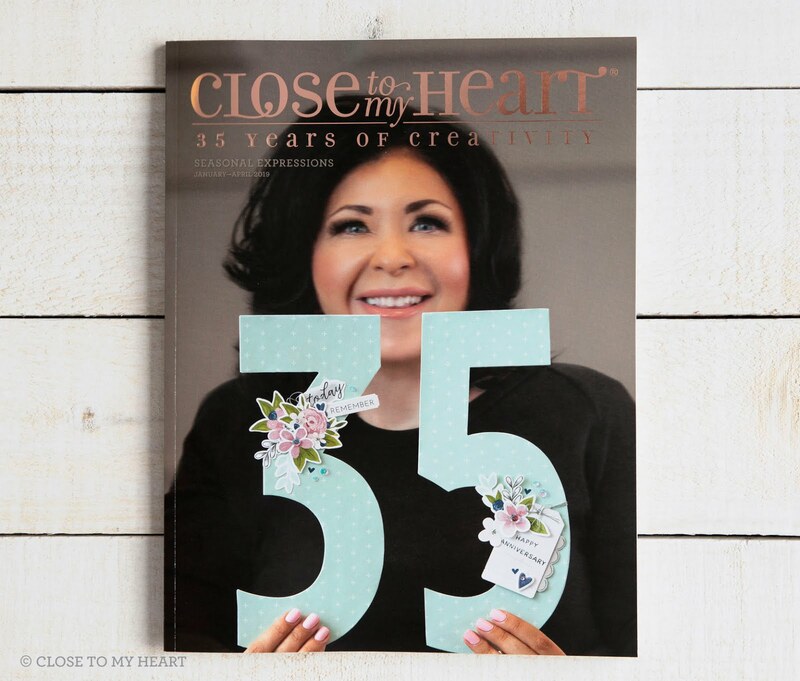 If you have come from Krista's Blog, you are on the right track. It is a circular hop, so you just hop from one blog to the next until you reach the blog you saw first. Then you will know you have seen them all. 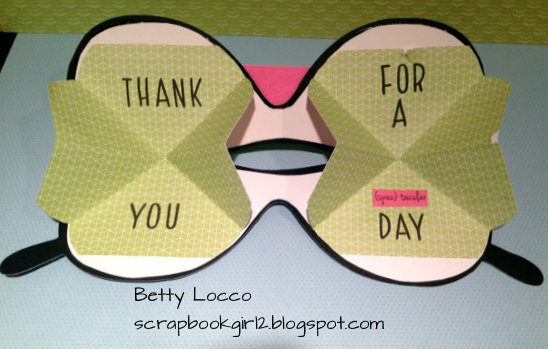 I wanted to make a special thank you card so here is a card made using the image of glasses (Icon-2) from page 40 of the Cricut Artistry Cartridge. I edited it in the Cricut Craft Room to make a card. The inside of the card has two small folded pieces of X7202B Kaleidoscope Background and Texture Paper. This pattern is adapted from the old "explosion" card inside. If you would like instructions, just google "explosion card" and you will find plenty of tutorials if you are interested. The "glass" front is a paper I found at Michael's Craft Store. The words are stamped using the Close To My Heart font B1484 Jennifer's Hand. 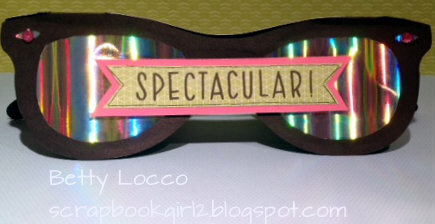 The word (spec) tacular is part of a stamp from Endless Creations. The stamp says "hope your day is (spec) tacular, but I just used the word (spec) tacular. Hope you are enjoying the hop. Be sure to visit all the other participating consultants. You can find a complete list of participants on Joyce's Blog if you get lost along the way. Now it is time to hop to Donna's Blog. they look so real, neat idea. Oh my goodness! So unexpected and cute! 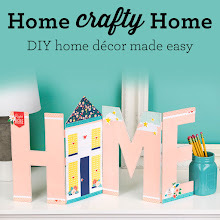 So incredibly creative! Love it!